Toyota Motors, the Japanese car manufacturing industry began in September 1933 as a division of Toyota Automatic Loom Works. The foundation of Toyota dates back to 1904 when Sakichi Toyoda, a businessman from the Kosai region, Shizuoka Prefecture, Japan founded the company Toyoda Automatic Loom Works in 1907, a company dedicated to the sale of various textile machines, which quickly became the number one in the market for its cheaper prices. Six years later, with the help of his son Kiichiro Toyoda, undertakes the construction of an automated loom, thus achieving one of his most dreamed of projects. From this moment begins the story of Toyoda (currently known as Toyota). In 1910, he undertakes a trip, looking for the company to settle in the United States. In North America, he met some automobile factories that left him impacted. Years later, Sakichi sells his patent rights to the British company Pratt Brothers. In order to reinvest the money to develop the first Toyota vehicle. Unfortunately, when the projects were taking shape Sakichi died and clearly could not see his dream come true. So, his son Kiichiro continued with the project, advanced research for the development of internal combustion engines. In order to accumulate a lot of data regarding this, he traveled almost 20 years to visit the most successful car factories in the world. Especially Europe and the United States, where he acquired many tools that he implemented to the nascent factory. The first type A engine was produced in 1934 and was used for the first time in May 1935 in the A1 model. This would be the first Toyota in history, baptized the Toyota AA, contained a sedan of 6 cylinders in the block and a manual three-speed with 3,389 cc and 62 HP of power. Later, he used his father's inheritance to create a Toyota Type A with a power greater than 65 HP. With this new model the company grows. So, he decided to found his own Toyota Motor Company. In 1936 a public contest was organized to design the logo of the brand, surprisingly 27,000 people presented their ideas. The winning idea was the logo of three ovals, the two central and perpendicular ovals are a sample of the relationship of mutual trust between the consumer and the brand. The three combine to form the letter "T" of Toyota. The free space symbolizes the global expansion of the manufacturer's technology and its unlimited potential. In his company, he applied a production system based on the philosophy "Just in time", which basically consisted of producing the just and necessary quantities in order to reduce the inventory level and the number of errors. It was the antithesis of the serial manufacturing model used in the United States. This system began to spread throughout the global automotive industry. During World War II, the Japanese government urged them to supply trucks for the Imperial Army. But the military trucks were not very successful due to the inclement shortage in Japan of the materials by the effects of the War. The War brought terrible consequences. In 1948, the company experienced a great financial crisis that led Kiichiro to abandon it. Taking the position Taiichi Ohno, who developed the pull production system, the production no longer depended on the orders but were replenished according to the orders already sold and registered. Toyota gradually flourished and became increasingly important as a vehicle manufacturer in Japan, it even became the maximum vehicle manufacturer, with more than 40% of sales in the market. Such was the success that Toyota expanded to other countries. Thus, the production of vehicles internationally began in Brazil in 1959 and continued to grow with a network of industrial plants around several countries. By 1960 there were industrial plants and development centers in the United States, Canada, and the United Kingdom. In that sense, the first Toyota imported to Europe arrived in 1963. Agreements were also established with Hino Motors and Daihatsu. 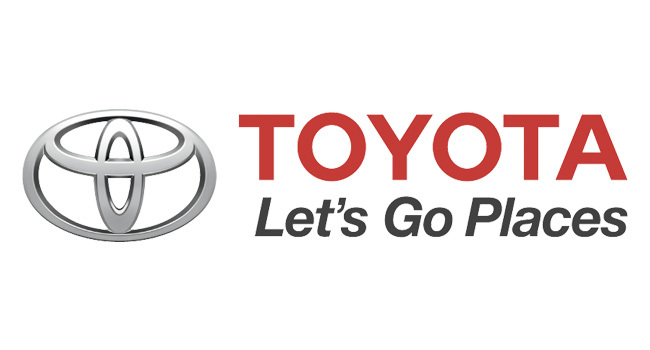 Subsequently, Toyota Motor Company and Toyota Motor Sales merged, giving rise to Toyota Motor Corporation. It launched new brands, being the first Lexus in 1989. Little by little new models would be engineered like: the Supra, the Crown, the Corolla, and the Prius. Toyota built up a reputation and sales figures that are so important to be big competitors in Europe and North America. In 1980, Toyota managed to produce an extraordinary amount of more than 30 million vehicles worldwide. It is currently the fifth largest company in the world. In short, the success of this company would not have been possible without the ingenious mind of Sakichi Toyoda, for his perseverance and then for the delivery of his son. We see that despite the death of its founder on October 30, 1930, his legacy continued. And today the fruits of this great company are reflected in its worldwide success. The company continued to create alliances, for example, it established collaboration agreements with the French car companies Citroën and Peugeot. The company has had to face crisis situations, so in 2009 he had to cut production in half to assume the fall in sales. Broadly speaking the Toyota models that are marketed are Auris, Avensis, Aygo, Corolla, Hilux, iQ, Land Cruiser, LC200, Prius, RAV4, Urban Cruiser, Verso and Yaris. Several of their cars were created to be part of a Formula team, but after a few years, they retired for not having great achievements and rather significant losses. We must indicate that the Toyota group is still present in the textile business and continue to manufacture automatic looms and electric sewing machines that are available worldwide.